This is an excellent book! We reunite with some characters from previous books and it fills in all the gaps and questions you may have about the other book endings. This book does have a lot going on in it, but in some ways its was not as "big" as I expected it to be, but it is still very entertaining and very worth the read. It was very satisfying to finish the series but at the same time I wish there was more. I am going to miss Sadie! Finishing this series, like any other series was a very bitter-sweet moment. If you have not read these books yet please do! They are well worth it! 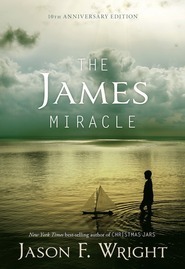 I recommend the books for all adults and young adults. They are a delight to read!! Great ending to one of my favorite series of all time! I am so sad this series has finally come to an end, but what a way to go out! 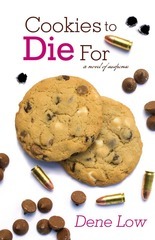 Kilpack packs a punch in this final book of her culinary mystery series! 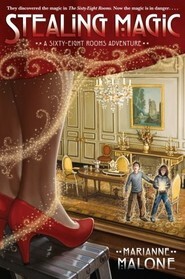 She has frosted off her series in a way I never thought possible and I finished the book with a huge smile on my face! Everything comes full circle in Wedding Cake and I loved the reunion between the characters! (Well most of them anyway)Sadie is and always will be my favorite heroine of all time. She is quirky, bold, emotional and full of great recipes! I will miss her and this series dearly, but take comfort in the sweetness of this final book! This series remains one of my favorites of all time! I highly recommend the Culinary Mystery Series to any reader! You will laugh, cry, and your heart will race...but you will love every minute of it! Thank you Kilpack for taking me of this amazing journey with Sadie! I love Sadie! She has been a fun character to read about. While I am going to miss her adventures, it's great to see her story come to a conclusion, I can't say that I have read every book in the Culinary Mystery series. There are a few from the beginning that I have missed. Josi Kilpack strongly recommends reading all of the books from the beginning before reading this one. I have read enough of them that I don't think this book will spoil the first few for me. Sadie knows how to find trouble, I think it is her real talent. This book is no exception. The biggest obstacle is that she is getting married. 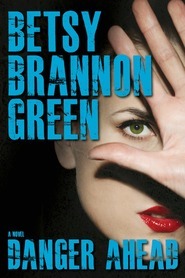 Problems from her past investigations come back to haunt her and try to ruin the wedding. This book was full of surprises, mystery, and physical threats. It was a great ending to a great series. If you haven't started reading this series, I highly recommend that you do. Josi Kilpack has a wonderful writing style. The characters in this series are engaging and fun to get to know. Received an eARC from the author in exchange for an honest review. The word perfect doesn't even come close to how utterly awesome this book is. As much as I have been looking forward to reading Wedding Cake, I was also dreading it. Not in a way that it was something I didn't want to do, believe me, it was only because I knew Sadie's story would be ending. That being said, that never would have stopped me from reading and loving Wedding Cake. I know all things must come to an end, like Harry Potter :), and WOW, what an end! My heart raced, my head pounded, and my stomach hurt all while reading in anticipation, turning the pages as fast as I could. As I read, I thought, what next! Poor Sadie, poor Pete, poor everyone! When I read the teaser chapter at the end of Fortune Cookie earlier this year, I knew this book was going to be a wild ride. Jane has been keeping herself quiet for awhile, but she has been bidding her time. I'm sure we all have been wondering what has happened to Jane since her last words to Sadie in Pumpkin Roll. The books since have mentioned her, but in Wedding Cake, she makes her presence known right at the start, and is not holding back. This will be spoiler free review, with no details given, but when you do get to read this, prepare your life for not getting anything else done until you finish this book. The epilogue is so lovely, it had me smiling through my tears. 5 out of 5 stars. This book is everything I wanted it to be with many surprises mixed in. Again, Jane doesn't hold anything back when it comes to Sadie and the people she loves. 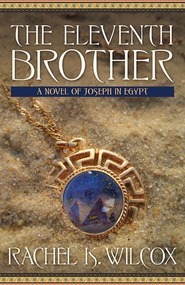 It was fun to have the other book's mysteries mentioned and their characters. Sadie will forever be one of my all-time favorite characters, and Pete is including on that list as well. 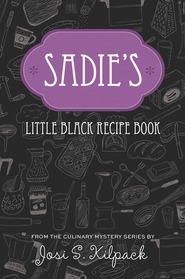 Sadie is nothing short of amazing, as is the author who created her. Kilpack has done it again. She's written a mystery that pulled me in from the first page. Sadie is finishing up preparations for her wedding which is only two days a way when she discovers that an old enemy has returned and is determined to do as much damage as she can. Being the last of twelve books it is definitely better to have read the rest of the series before getting to this one because the climax is a doozy and it helps to know what has happened previously. I'm not really much of a cook but the recipes the author includes sound mouth-watering good. I've also noticed just how good the author is at building tension until it all explodes in the fast-paced, unpredictable climax. I'm sad that this is the last in this series because I've gotten quite attached to Sadie and her family and friends, but I am very much looking forward to reading more from this fabulous author. What a ride! Wedding Cake is the perfect ending to a perfect series of stories. I was so excited to read Wedding Cake, because I wanted so badly to see how the story of Sadie would end. From the first page, I knew that story wasn't going to end without big adventure and big suspense. I had always wondered if Jane would make an appearance in Jane's life, and wow, did she ever! It is so important that the reader has read the first eleven books in the series before reading Wedding Cake. So many details from those books are brought up in Wedding Cake. Those plot details help you understand where Sadie is coming from in her actions as an amateur sleuth, and in her personal life. I love the way all of the questions are wrapped up in the ending of Wedding Cake. The events in the plot of Wedding Cake were so intriguing, I couldn't put it down. It was suspenseful, and intense. I couldn't believe all of the twists and turns. Will Sadie and Pete get married or not? The epilogue was my favorite part. I was crying as I read it. So happy for the resolution to the characters that I have come to love. Such a perfect ending. Sadie will always be one of my all time favorite characters. I am sad that there will be no more adventures for Sadie. The wait for this book is SO WORTH IT! You will be frantically turning pages and biting your nails to see what could possibly happen next! Sadie and Pete are finally getting married and Sadie is checking off the final things to do on her list when she receives a text from an unknown caller. "Didn't I tell you that you'd never be free of me?" And with those words everything comes to a screeching halt...Jane is back! Not wanting to give in to the threats and the fear from the past, Sadie and Pete try to ignore Jane and move forward with the wedding. They wonder if it wouldn't be better to postpone the wedding. Will Jane ever get to say "I DO" to Pete? How far will Jane go to try to stop Sadie from finding happiness? It all unfolds in this final book of the "culinary mysteries." THIS WHOLE SERIES IS PHENOMENAL! JOSI S. KILPACK IS TRULY A GIFTED WRITER! Is it really true? We've reached the end of the Sadie Hoffmiller culinary mystery series? How bitter sweet this feels. It's been a long road to reach the end, the final book, the wedding cake. So, it's good to have that final bit of resolution but it will be sad to leave Sadie, Pete and family behind. They are very familiar to me now. I'll admit that I was anxious to read this book. Knowing it was the last book left me anticipating the whole time I was reading. I knew I would have to wait to the very end to find that HEA ending I was looking for. Nothing is every easy for the characters in these books. Never, ever easy. This book was fast paced and jam packed with activity. There was literally not even one dull moment. I loved how the whole clan was together in this book, all part of what was going on. It was a good way to end things. Things don't turn out exactly the way Sadie hopes they will or even the way I thought they would, but I guess that's all part of the fun. This has been a great series. Not only are the stories great, but there are some fun and yummy recipes in each book. These books are clean- no swearing, no sexual situations. It's just good reading! 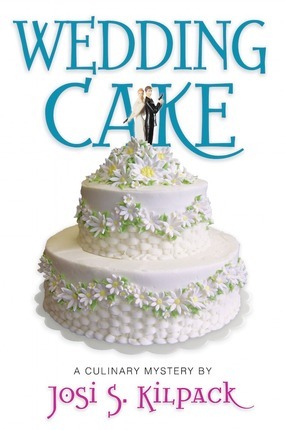 With Wedding Cake, Josi S. Kilpack crafts not only a great standalone story, but she pulls together eleven other books and ties them up fantastically. Wedding Cake is an exciting and perfect end to the series. Kilpack had me guessing wrong on a few things, scrambling to forge ahead despite my other obligations (who wants to put down a book to go to work? ), and satisfied with everything. The end blew me away with its unexpectedness and cleverness. I would highly recommend this series and especially this book.